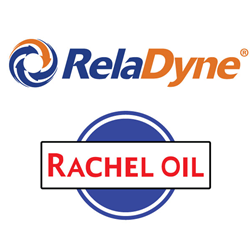 RelaDyne, one of the nation’s leading providers of lubricants, fuel, diesel exhaust fluid (DEF), and industrial reliability services, has acquired Rachel Oil Company, a lubricant and fuel distributor based in Mansura, Louisiana. This acquisition builds upon RelaDyne’s strong Southeastern footprint. Rachel Oil Company is a regional distributor of lubricants and fuel as well as a common carrier distributor, serving agricultural, construction, industrial, and marine customers across greater Louisiana. The company was started by Simms Rachel, who with his two sons, Glenn Rachel and Nickey Rachel, grew the small local distributorship into a successful, regional distributorship that has been in operation for over 70 years. Those interested in more information can contact the Mansura, Louisiana office to learn more about the lubrication products, services and equipment offered. RelaDyne, headquartered in Cincinnati, Ohio, is one of the nation’s leading providers of lubricants, fuels, diesel exhaust fluid (DEF), and reliability services for industrial, commercial, and automotive businesses in the United States. RelaDyne was formed in 2010 by the combination of four well-established industry-leading companies and has since grown to more than 60 locations by strategically acquiring other industry leaders in the lubricant, fuel distribution, and industrial service segments. For more information, visit https://www.RelaDyne.com.